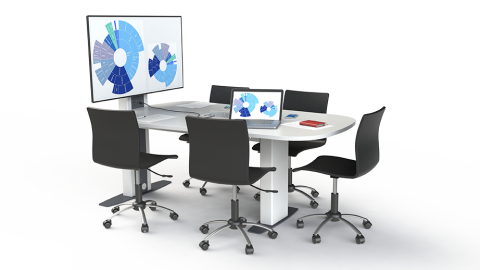 Loxit's AV Furniture range can be standalone for breakout sessions and huddle meetings or fully integrated into large scale installations. For a truly modern meeting experience, the Hive Desk™ is a must in any busy working environment. From an in-promptu meeting space with seating for 5 people, to fully collaborative presentations facilitating video conferencing, screen control and device charging, the Hive Desk™ offers the perfect intimate presentation environment. 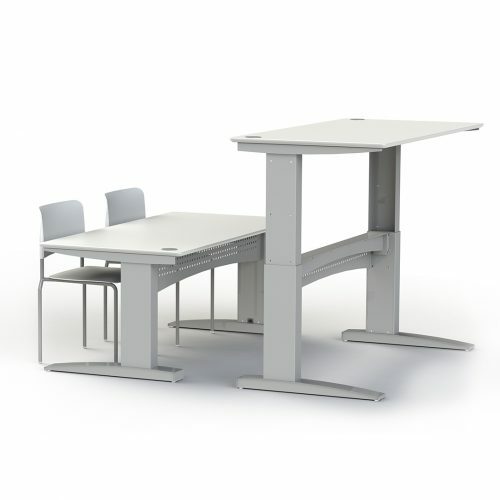 Get on the level with our Hi-Lo® Workspace™ Electric Height Adjustable Desking solutions. Fully embrace the health benefits of healthy desking solutions. 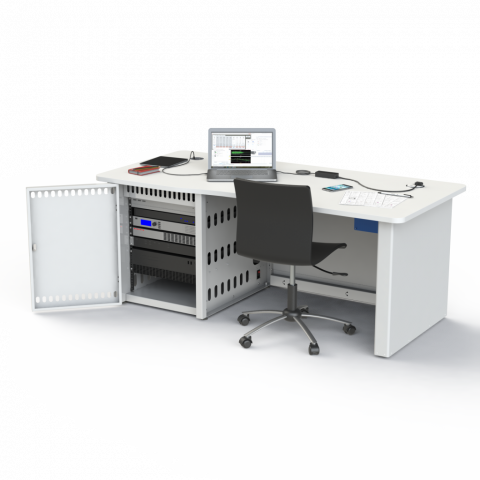 Our huge range of electric height adjustable desking combinations means there is a solution for your working environment. Our Command Desk™ offers intelligent control of your working environment with a secure 12U 19″ rack, AV connectivity, power and PC management built in. 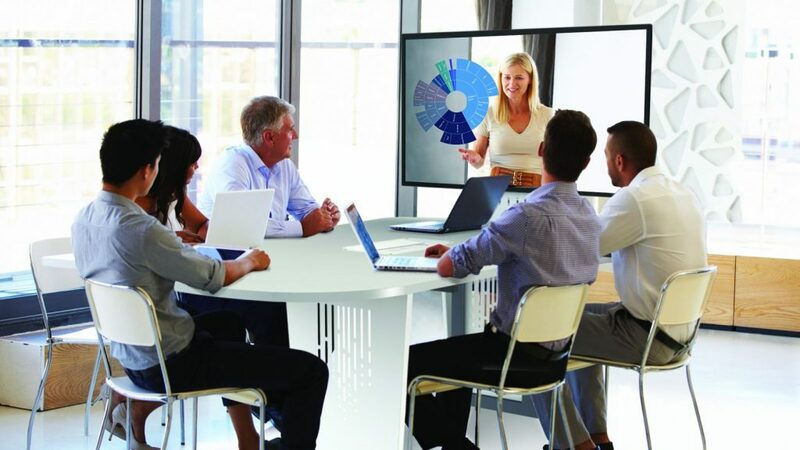 Allowing you to seamlessly command and control your presentation environment. 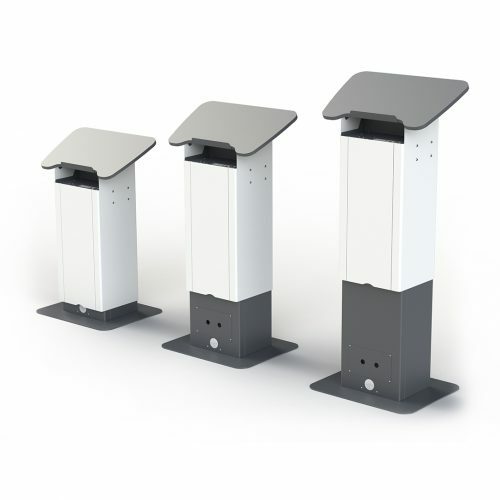 The Hi-Lo® Spotlight Lectern™ offers electric height adjustment to our quality lectern solution. Meaning everyone from children to adults and wheelchair users are able to confidently present with unrestricted access and total control. Built in device power management is coupled with standard AV connectivity options to suit your requirements.